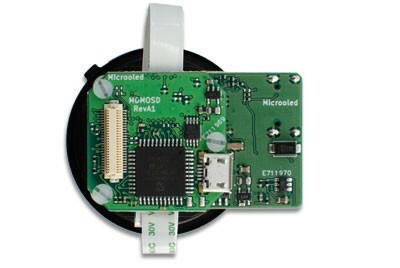 Intended for monocular and binocular applications, this stand-alone board has been designed to be integrated directly into end-user applications. It allows for direct integration into end products, mockups, and rapid prototypes with excellent image quality, very low power consumption, and extremely high contrast displays. Driver board included, display and optic sold separately.